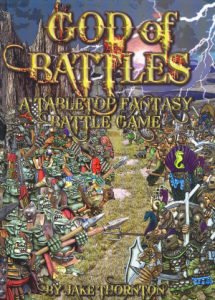 Wargames Foundry is having themselves a sale on God of Battles, their fantasy miniatures rules set, over in their webshop. Wargames Foundry has started off with not only a new move and change of manageemnt but a sale as well with their God of Battles Rule set only £12.50! The book has over 285 full colour pages, weighs over 3.2 lbs. and contains hundreds of exquisite Kevin Dallimore photos.